and the three-quarter length sleeves with turned up cuffs and tuxedo collar make this a perfect jacket for work or dress. Includes a purse pattern with pockets to keep your valuables organized. 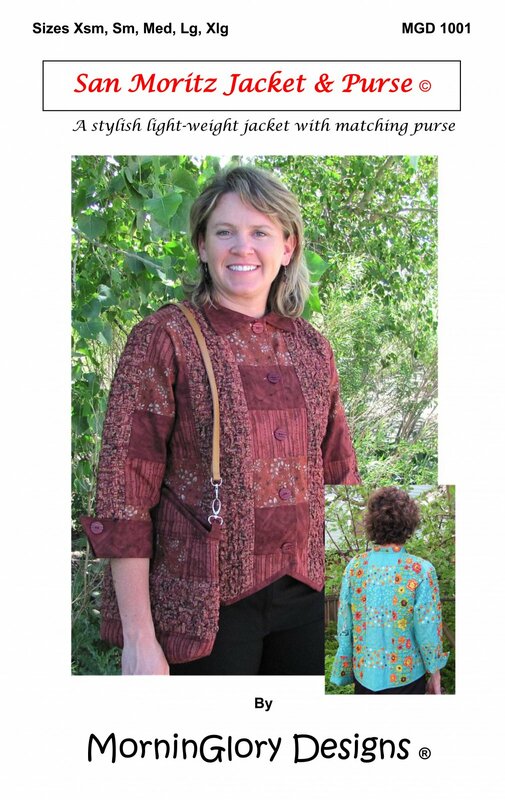 Sizes Xsm -Xlg included MGD 1001 Requires intermediate sewing skills.